If you’re the only person who uses your computer, managing user accounts is fairly easy. You sign in with your own account that’s likely an administrator account and don’t think of much else. 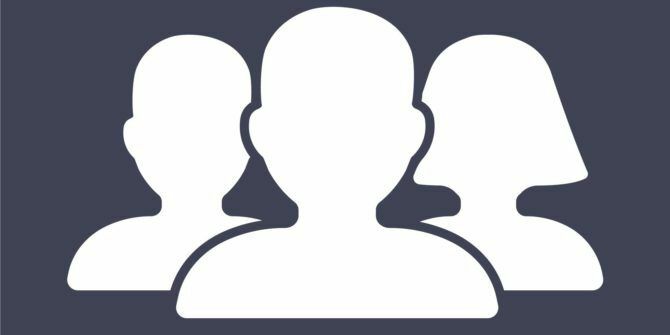 At some point, you might need to create a second administrator account — maybe you’re adding a new person to your PC. Aside from this, it’s a good idea to keep an extra account on your system so you don’t get locked out. If you normally use a local account, you can make a secondary account using a Microsoft login to make it easier to reset your password How to Reset Your Lost Windows 10 Password How to Reset Your Lost Windows 10 Password You forgot your Windows 10 login password? Don't despair! We'll show you how to reset your password and recover your account. Read More . Follow these steps to do so. Make sure you’re logged in with an administrator account, since standard accounts can’t create an admin account. Open Settings and browse to Accounts > Family & other people. Click Add someone else to this PC under Other people. If you want to create a local admin account, click I don’t have this person’s sign-in information at the bottom of the resulting window. Then, choose Add a user without a Microsoft account at the bottom of the next page. Give your second admin account a name and password and it’s added. But since it’s a standard account by default, you need to head back to the Family & other people page. Click the name of your new account and hit the Change account type button. Set it to Administrator and you’re all set! To add a Microsoft account instead The Pros and Cons of Using a Microsoft Account with Windows The Pros and Cons of Using a Microsoft Account with Windows A single Microsoft Account allows you to log into a wide range of Microsoft services and apps. We show you the pros and cons of using a Microsoft Account with Windows. Read More , enter the email address of the account at the first window once you click Add someone else. Click the Change account type button under the new account name and set them as an admin. To sign in, you’ll need the password associated with that Microsoft account. Having a backup account is a good idea in case of emergency. Keep the password in a password manager or somewhere safe so you don’t lose it. If you set up a second administrator account now, you won’t have to go through an annoying process if you forget a password 3 Ways to Reset a Forgotten Windows Administrator Password 3 Ways to Reset a Forgotten Windows Administrator Password Forgetting your computer password is scary, but you still have options. Here are three easy methods to reset your Windows administrator password and get back into your computer. Read More . Do you keep an extra admin account on your PC? Let us know how many accounts are on your current machine down in the comments! Yellow - throw-away local account for when I get those bright ideas to see "What happens if I... " as it often isn't good things.